ESSG stands for “Event & Stadium Suppliers Group” and is a group of different, experienced companies from all over the world. Each company acts independently and they all have different products and services. 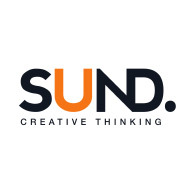 Sund uses the power of creativity and technology to move brands & engage fans! In order to optimize the fans’ experience and monitor all his actions we are equiped with a wide range of high-end tools that monitor and analyse the experience of every fan. We are convinced that in every experience, no matter how small or big it is, the fan should always be in the middle. While we have grown to offer a wide range of creative services and solutions, our body of work testifies to a strong foundation in and commitment to animation and motion graphics. In case you did not find what you were looking for, please don't hesitate to contact us. We are happy to help you with your questions and/or project. In case you have difficulties with the website or you have a remark, please contact samuel@essg.org for technical support.